Peafowl don't need any encouragement from you. 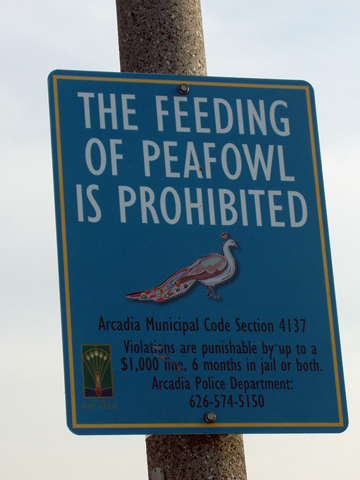 This neighborhood in Arcadia, CA, apparently has enough peacocks and -hens without the intervention of humanity. Think it's a joke sign? I turned the corner and there was evidence to the contrary. 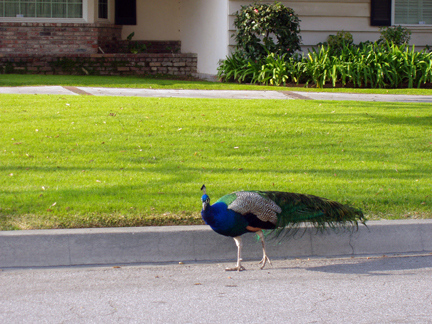 A large flock of peafowl lives at the Los Angeles County Arboretum, and they roam freely in the residential neighborhoods to its west. Here is one video taken by a local; a peacock on her rooftop, in full mating stance, evidently failing to impress several peahens. I've been there, pal. I've been there. 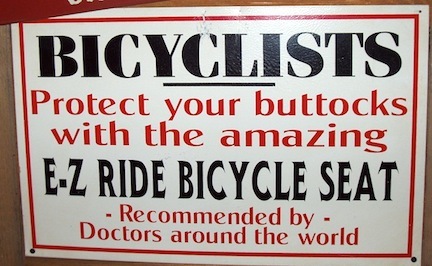 Do not pretend you do not want this sign in your home. It was 80º and the crowds were thick, but happy. Many of them from out of state had not realized there could be sun in January. 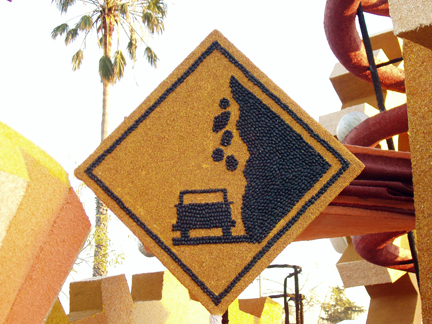 So the orange lentil thing was a second blow to their reality. Roy Rogers' taxidermied horse Trigger, mounted on this float, got a lot of press. 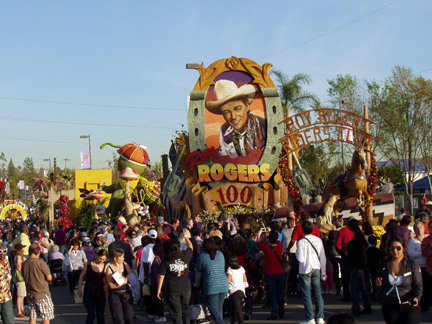 A lady asked me, "Is it true on the Roy Rogers float, that is a real horse? My husband doesn't believe me." "Yes," I said. "That's really Trigger." "Tony!" the lady screamed back into the crowd. "I was right!. TONY! That is a real horse." Was, I guess. 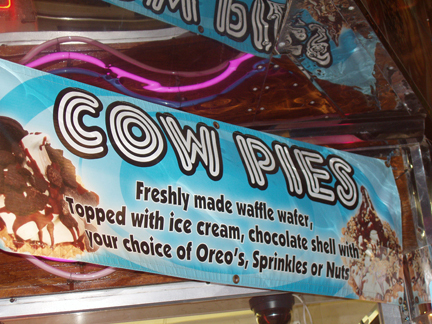 Was a real horse. I was near this float for much of my two day stint, sponsored by a Lutheran radio show which has had a float in the parade since about 1950. Several Christians expressed surprise to me that such an openly religious float would be allowed in these "politically correct times." 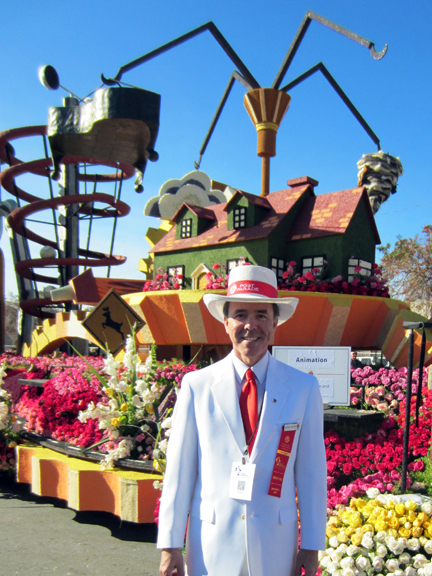 I told them the Tournament of Roses is a private organization and can pretty much run any float they want, unless it is offensive on television. 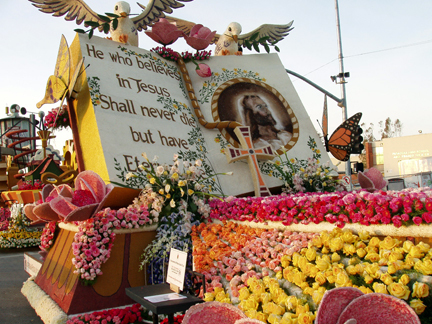 My favorite fact about this float: Jesus' portrait is crafted out of spices. Yes, in case you never knew it before: Jesus was a Ginger. 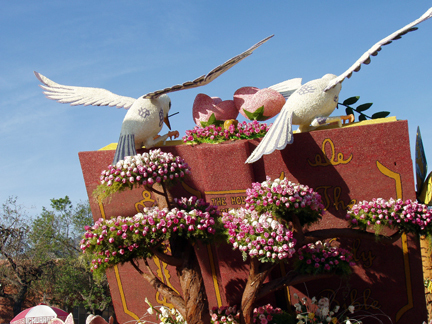 This is the back side of the same float. I shot this because I was struck by how even the back sides of floats, the sides nobody really takes a picture of, are done so lovingly. I really look like a guy who wants to sell you a float, don't I? This is the Farmers Insurance float, and whenever I stood next to it, the question I got most, 10 to 1, was "What is supposed to be on that fourth hook up there?" Various disasters which Farmers, presumably, will protect you from are represented on three hooks; a falling piano, lightning, a tornado, and...an empty hook. I did not know if the hook was empty because the decorators ran out of time, or the item fell off, or what. Since the theme of the whole parade was "Just Imagine," I told people to do just that regarding the hook. The Tournament of Roses thinks of everything. Everything. If you look closely at the upper right of the picture, you can see raised white dots on the book's cover. 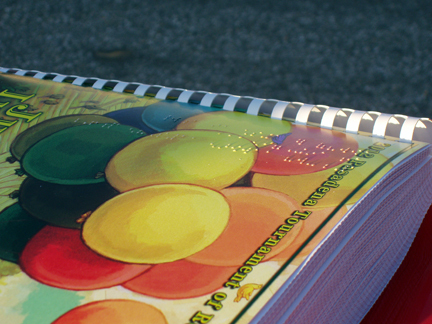 This was a braille catalog of every float in the parade (!) for us to loan to blind people. 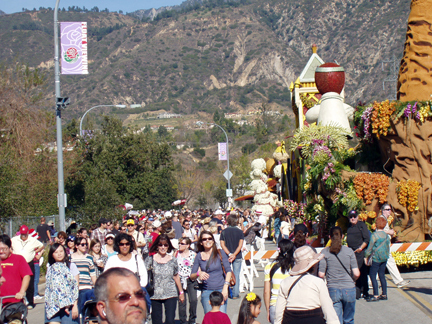 Traditionally, on the morning of the second day of float viewing, the elderly and disabled are allowed in first before the crowds. This book was two inches thick, with plastic pages. You might wonder why a blind person would come to the post-parade float viewing. I did. Next year I switch committees to something they call "Parade Operations," which means I will be up all night assigned to guarding a single float and, if I am lucky, escorting it along the parade route on New Year's Day on a scooter. There are other jobs in the committee, though, so I may not end up in the parade. Wherever I end up, though, rest assured: there will be pictures.